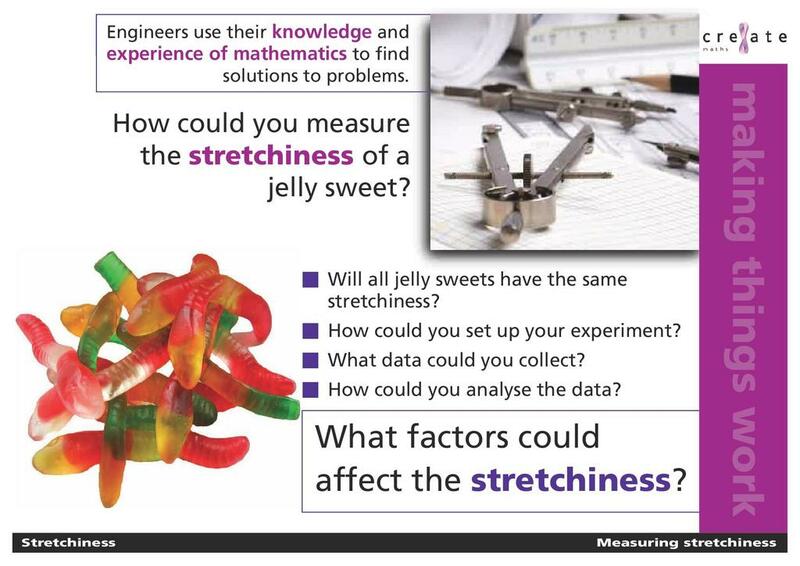 This Cre8ate maths activity draws on measuring stretchiness which involves the collection of real data, calculating percentages and experimental design. This resource models one way in which engineers use their knowledge of mathematics to investigate the properties of materials. 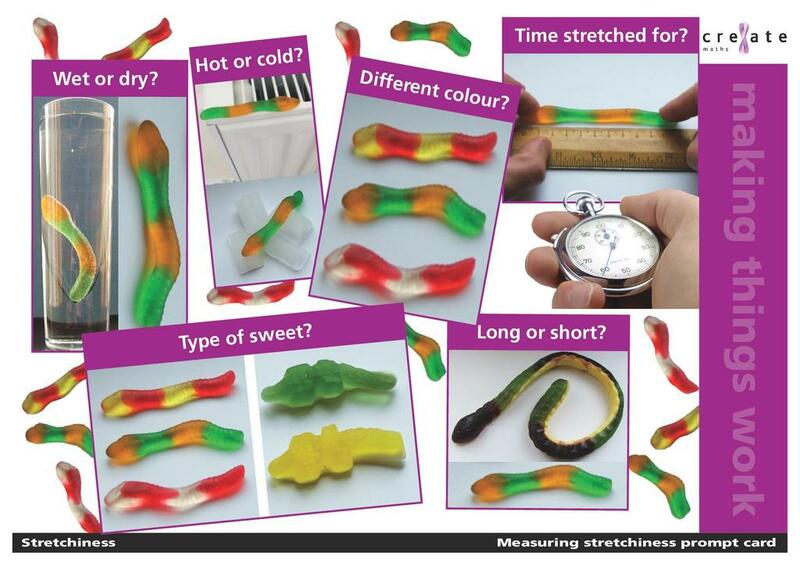 Here students investigate the stretchiness of jelly sweets, they are provided with a prompt card which suggests that they consider the condition of the material, length of time that the stretch should be applied and the type of sweet being used.